"Fulfilment and shipmentoptions in one APP?!" Why Parcel Checkout - PostNL Fulfilment? As a merchant, it could be wise to outsource the order management. With the fully roboticly automized warehouse and orderpicking system of PostNL Fulfilment you are assured of 100% accuracy, even at peak peroids. PostNL will take care of everything; keeping stock, picking and shipping your orders. Quick, flexible and 100% accurate. This way we help you get satisfied customers and make you able to focus on the growth of the webshop. Interested? 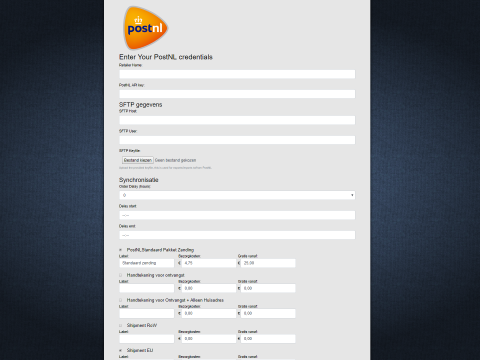 Find all you need to know about PostNL Fulfilment here (Dutch website). The APP handles everything, from shipment methods to synchronizing with PostNL Fulfilment. Your orders and products will be automaticly syncronised with PostNL Fulfilment to keep stock up to date and ship the orders. 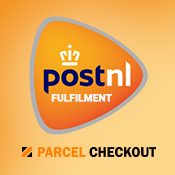 Parcel Checkout - PostNL Fulfilment has numerous shipment methods which you can configure. The synchronization will be done with an SFTP enviroment, with credentials that have been provided by the PostNL Account manager. Import shipment confirmations and stock changes. Customers will be provided with a Track and Trace code through email. The APP is available in Dutch and English and will only work with provided PostNL Fulfilment shipment methods.